Akismet is one of those WordPress anti-spam plugins which is not only essential, it’s also highly recommended. It’s an official free plugin by WordPress parent company Automattic and, if you aren’t using it, you should be. Spam comments are nothing new. As soon as your WordPress blog goes live, you will start seeing lots of spam comments that look genuine. Akismet is one of the best free solutions to getting rid of WordPress spam. In this quick post, I will share how you can get your Akismet API key for your new Akismet installation. Earlier, one could get their free API key by signing up for a free account on WordPress.com, but now there’s a dedicated site for Akismet and there is no button for “free sign ups”. Akismet is one of those few WordPress plugins which comes with the stock installation of WordPress. In order to activate it and start using it, you need to add an API key. When you click on “Get your key”, you will be directed to Akismet’s website where you will get lost looking for the non-existent “free” option. Finish the sign-up and click on “Continue”. If you ever lose your Akismet API key, you can use this link to recover your lost API key. Check your email for the key, and add it onto your Akismet configuration page. 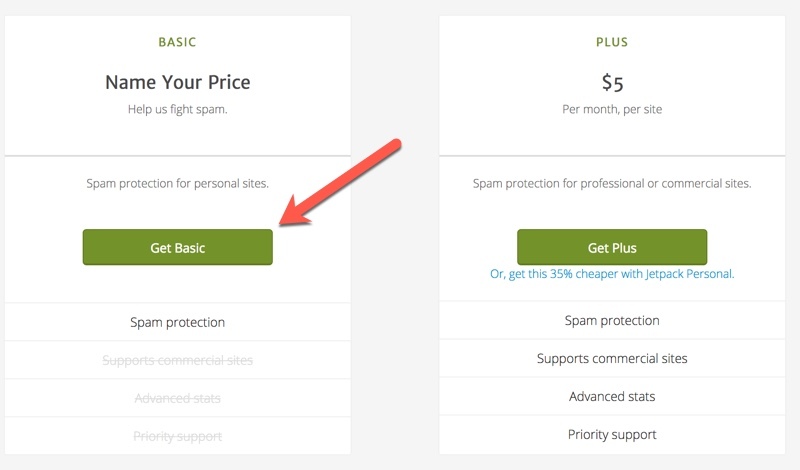 Once you have added the API key, Akismet will start protecting your blog from spam comments. 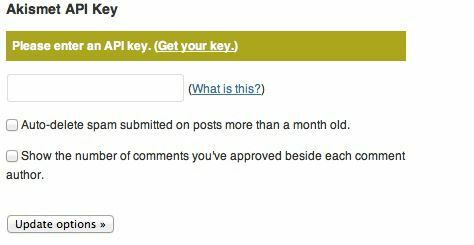 I hope this tip will help newbie bloggers quickly get their free Akismet API key. If you still have any queries, feel free to ask me via the comments.